Get it? One of the perks of growing old is finding anything and everything amusing. Moving on! 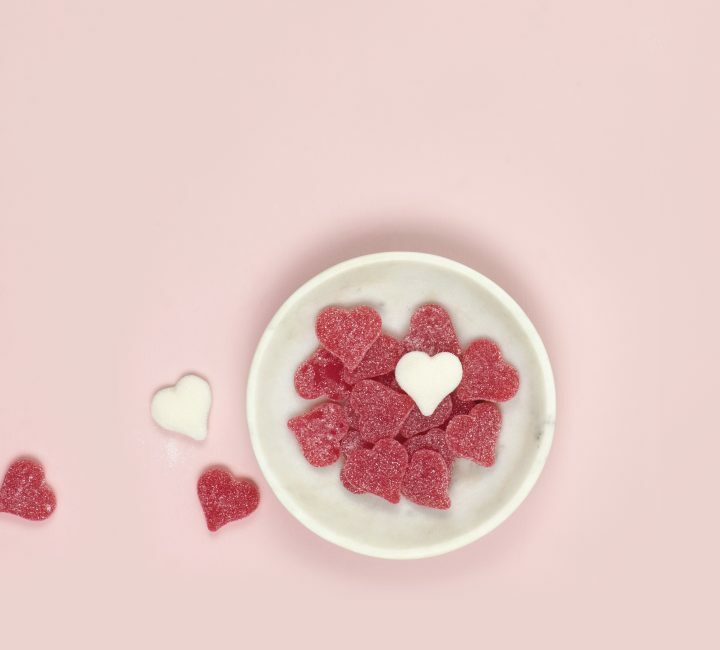 Another month means another holiday and with all the heart-shaped cookies, balloons, and candies at every corner, I’m sure you can guess what holiday we’re talking about here. If I’m honest, I have never been a fan of Valentine’s Day because, um, hello, it’s dead set on shaming all my single people. A shame, I know, considering the history behind Valentine’s Day is a beautiful one. But it’s become a commercialized holiday just like Christmas. Damn it, America, you insatiable beast. Alright, I’m done ranting, let’s move on to why I still think it’s a good idea to throw a party on this particular day. Personally, I don’t need a holiday to tell me to buy sweets and teddy bears for my loved ones because I already know I’m #blessed. The reason I love throwing a party is that I have tons of single friends who don’t know how to express themselves due to society’s ridiculous notion that being single is abnormal. So I host a party and invite all my friends, regardless of their relationship status because even though this just another day of the year, everyone needs to feel like they’re loved. So here it is people, this is how you throw a righteous Valentine’s Day party. Ok, I know what you’re thinking. Is it really a good idea to mix my single friends with my dating/married friends? And the answer to your question is yes, it a fantastic idea. This isn’t your “making out in a corner” or “get a room” kind of party, and it’s always best to make that clear when inviting people over. This is not your frat house college party, this is a gathering of your loved ones, and people need to be on their best behavior. Is kissing off limits? No, I’m not a monster, but if couples wish to be passionate, then they can stay home. While you do want to be considerate towards everyone, you need to know where to draw the line. Or cupcake shaped. Or bear shaped. Hey, be creative. If you’re feeling up to it, you can even send out personalized invitations to all your guests! Just make sure you send them out a week before, so you have an estimate of how many people RSVP. Now, invitations are amazing because this is where you’re going to state the event, place, time, food, and my personal favorite, the rules. What, a party with rules? Yes, those are the best ones, duh. There will be singles at your party, so you need to make it clear that there is NO KISSING ALLOWED. At least nothing heavy and makes people wonder why they showed up in the first place. But alas, an invitation is not a rulebook, so if anyone has any questions about the party, they should be able to contact you via phone or email! I once had a couple bring their kids and leave. Do you know where I am with those people now? I’m not. Because I cut people out the same way I cut paper hearts, smoothly and without complication. The point is, always know what’s allowed and what’s prohibited at YOUR party. For some, it’s a very sensitive day, and the last thing you want to do is hit a nerve. I’m talking pink walls, pink hearts, pink plates, pink balloons, pink punch, pink lightning, etc. I guess you can pop a red in there somewhere. This one day a year is when you can go HAM on decor. Have heart-shaped balloons fill the ceiling, pick an array of red and pink foods such as chocolate cupcake with pink frosting, heart candy with messages (obviously), chocolate dipped strawberries, raspberry and strawberry punch, etc. Purchase red and pink curtains and cover up the walls. Of course, can’t forget the DIYs. Your choices are endless, and they’ll make great additions to your home even after the party is over. – Hire a professional photographer to snap pictures of everyone. – Set up a projector and play a few classic romance movies in the background. – Piñata, Piñata, Piñata! With heart eyes blindfold! There are just a few things you can incorporate into your party! No matter what you decide to do, the most important thing to add to any party is lots of love and laughter. I know that sounds like something out of a fairytale, but hey, it’s true.